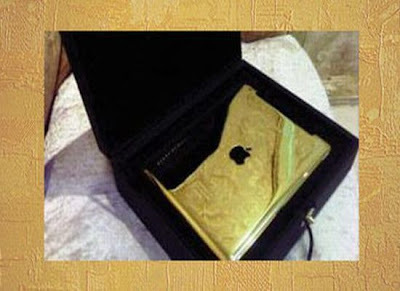 Today there's so many expensive and luxurious gadget from apple such as this Gold History iPad 2 edition by Stuart Hughes you can read it on our previous post about those luxurious iPad2 which is worth for $8 Million. but beside those iPad there's several other expensive and luxurious iPad. most of them was studded with a diamonds or gold or any other luxury stuff. This Gadget from Apple was known for it's beautiful designs, no wonder if there's so many designer made their custom version by add a luxurious touch such as Gold or even diamonds on it. 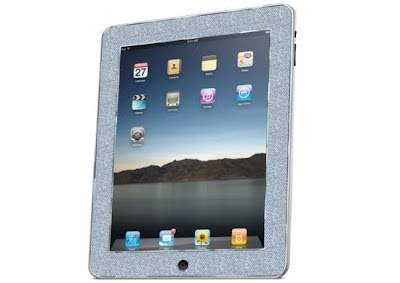 If you love the luxurious and expensive stuff like this so you have to check out the list of the Most expensive and luxurious iPad collection below. This luxurious gold plated iPad 2 was designed by London based firm Gold & co, this gadget was crusted with a glittering 24 carat gold. This stunning impeccable piece was launched at the Dubai Women’s Exhibition in Jumeirah and retails at $5,500. This Mervis diamons importer's iPad could be in the list since it's the first luxurious iPad design which is encrusted with a diamond. 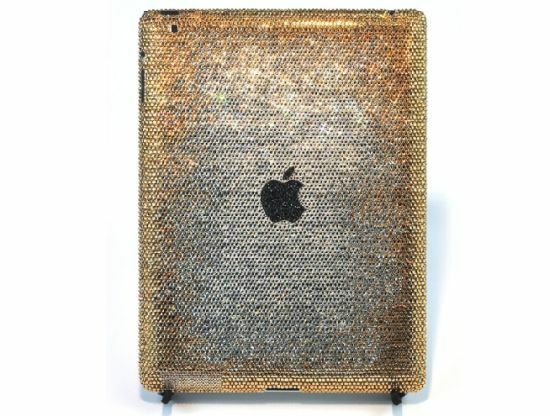 This ipad was customized using the diamonds for the riches. Ever since the luxury lovers were waiting for this version and the honors were done by the Mervis Diamond Importers. The blingy version comprises of 11.43 carats of diamonds which have been hand set in a micro-pave styling on the frame of the screen. Graded as G/H in color and VS2/SI1 in clarity, the diamonds are pure and authentic. This is available at $19,999 price tag. 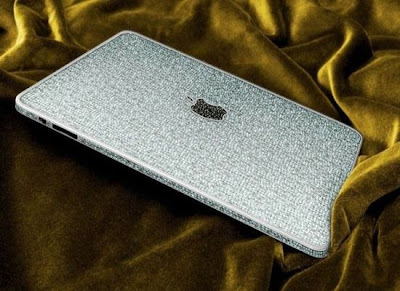 Gresso boutique was known for their luxurious phone and cases design, before this luxurious gold ipad they also made a diamond encrusted iPhone4 which is worth for $30,000!! and now Gresso set to roll out iPad in gold. Actually it is not like the other gold units but just has a 18k gold logo studded in between. 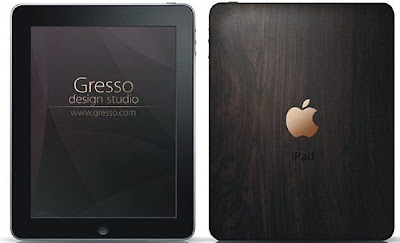 Apart from being a gold logo iPad, it has a feature of 200 year old African Blackwood, which is said to be the world’s most valuable tree. So how about the price of this luxurious gold ipad by gresso? there's no further information about this iPad but we think that this could be expensive since it's use 200 year old african blackwood. 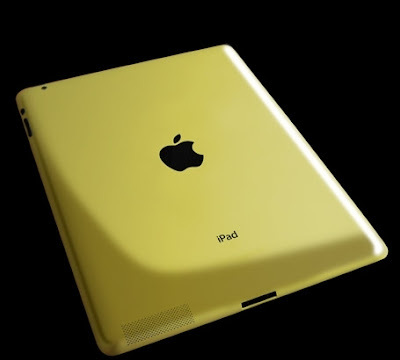 The iPad is festooned with 300 carats of wonderful diamonds and is crafted with 18-carat gold. Along with the sparkling white diamonds, the company has also ornamented the piece with the rare black diamonds on the home button and the Apple logo on the back. Apart from the blingy version, the company also customizes the iPad in solid gold to suit your individual preference. Every unit comes with individual certification which guarantees to present you the unit in a beautiful box. This Camael Diamond's iPad was worth for $150.000. Crystalroc was known as another luxurious gadget manufacturers, they also known as one of the first company who customized iPad with 6000 Swarowski crystal. 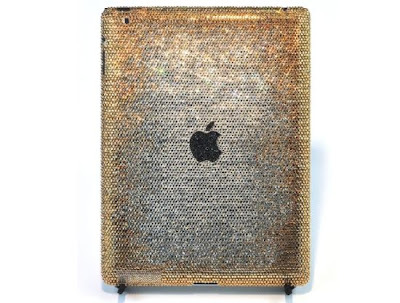 This cool iPad by Crystalroc was studded with 6000 individual swarowski crystal. 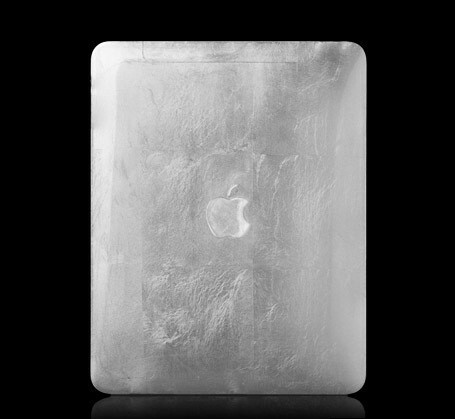 The price tags of this luxurious iPad was £1500 ($2,250) for 32GB version. 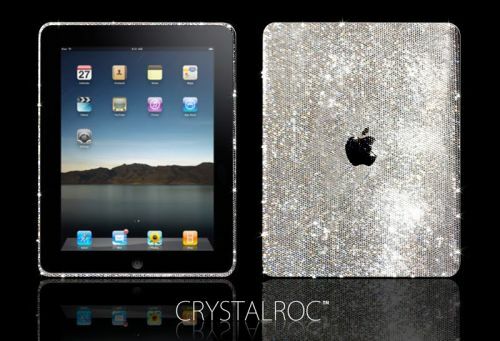 See also our previous post about this luxurious crystalroc's iPad 2 case. 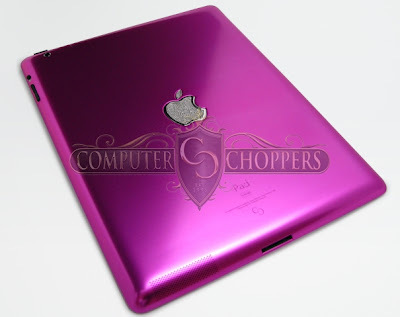 chief designer of Bling My Thing, designed a white Apple iPad that was customized with blingy Swarovski crystals. The series is known as ESCAPE. With the choice of four colors namely Crystal Mix, Pink Mix (contains Light Rose, Rose and Fuchsi), Energy Mix (contains Light Topaz, Light Siam and Sun) and Blue Mix (contains Aquamarine, Capri Blue and Dark Indigo), the case is coated with a special anti-scratch layer on which Swarovski elements are carefully embedded into holes by skilled BMT craftsmen.